From just a cursory glance at online reviews and comments from prog-rock fans it soon becomes obvious that RickWakeman is still a god in that world. In terms of flamboyant keyboard playing only Liberace, Elton John and perhaps Keith Emerson are in the same league, possibly, only just! Wakeman's range of styles and his technical virtuosity have few equals and there is way more to his music than flash and bombast. In a career spanning four decades he has variously played the role of anonymous session man, folk-rock keyboard man, prog-rock superstar and respected classical composer. Not to mention THE grumpy old man that is loved and admired by millions of other grumpy old men. Rick was born on 18 May 1949 in Perivale, Middlesex and grew up in West London. He showed an early propensity for the keyboards at school and passed the Grade One piano exam when he was 10. Two years later he started his own band at school. Church organ lessons followed and all the while he was winning countless prizes at festivals and in competitions. He joined a local blues band – The Atlantic Blues – whose first residency was at the Neasdon Mental Rehabilitation Club. Good training perhaps for a career in rock music! In 1965 he left The Atlantic Blues and joined The Concords who played more sedate gigs at weddings, birthdays and in pubs. A year later he formed his own rock band – Curdled Milk, named, we're told, after Clapton's Cream – and he did his first Radio One session with the James Royal Set, which also occasionally featured John Entwhistle. In 1967 at age 16 he passed the entrance exam to the Royal College of Music, became a Sunday School teacher (!) and changed bands constantly. His period at the Royal College of Music where he studied piano, modern music, clarinet and orchestration wasn't altogether to his liking and it wasn't long before he started doing studio session work for producers like Gus Dudgeon and Tony Visconti. He left college in 1969 and eventually joined a pub band called The Spinning Wheel who had a residency at the Greyhound in Chadwell Heath, owned by Bob Wheatley of Wheatley Taverns. His most notable sessions around this time were for David Bowie on 'Space Oddity' and The Strawbs whom he joined a year later. He first played on their third and fourth albums, Just A Collection Of Antiques And Curios and From The Witchwood, and soon came to the attention of the press who earmarked him for future stardom. Session work also increased to the point where he was constantly in demand. It is estimated that he has performed on over 2,000 different tracks by artistes as diverse as Black Sabbath, Cat Stevens ('Morning Has Broken' being the most remembered), Mary Hopkins, Cilla Black, Clive Dunn, Elton John, Edison Lighthouse, David Bowie, Lou Reed, Dana, Des O'Connor, Magna Carta, Al Stewart, Ralph McTell, Butterscotch, Biddu and Harry Nilsson. In 1971 he left The Strawbs to join Yes, replacing Tony Kaye, with whom he toured the States for the first time and made the prog-rock classic, Fragile. In an eventful year he also signed a solo contract with A&M and commenced recording of the album that would launch him as a major solo artist, The Six Wives of Henry VIII. 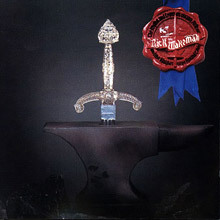 The original idea for this masterwork came to Wakeman on one of the many US flights he took whilst on tour with Yes; he was reading a book on Henry VIII and the chapter on Anne Boleyn brought to mind a piece of music that he'd previously written but, for lack of context, hadn't yet used. From there the concept of interpreting the personalities of Henry's six wives through music took shape. Recording commenced in February 1972 at a number of different locations, including St Giles-without-Cripplegate, with musicians from Yes and The Strawbs, and actor David Hemmings, providing narration and with Wakeman playing a variety of keyboards – minimoog, mellotron, harpsichord, etc. Apparently confusion among the participants was common as Wakeman had nothing written down – he knew exactly what he wanted to do but it was all in his head. Eight months later he had a finished record and it was launched in January 1973 when Wakeman performed excerpts from it on The Old Grey Whistle Test and his music became known in millions of households across the UK. The album, sporting a cover shot of the six wives taken at Madame Tussauds with, bizarrely, Richard Nixon lurking in the background, reached No. 7 in the UK chart and by the middle of the year had sold around 300,000 copies. Sales have accumulated at a phenomenal rate ever since, the last estimate, on the 40th anniversary of its release, being well over 15 million copies worldwide. And this despite some fairly negative press reaction (Time magazine and Rolling Stone aside) that understandably upset him greatly at the time. Plus the fact that A&M initially unenthusiastically declared the record "unsellable" and only pressed enough copies to allow them to recoup the recording advance, it's a wonder it didn't sink without trace. Far from it though. As recently as 2009, and to celebrate the 500th anniversary of Henry VIII's ascension to the throne, Wakeman performed the album live for the first time at Hampton Court Palace after a 36-year wait as he'd originally wanted to perform the album there back in 1973 but was flatly refused permission at the time. Also included in the live performance was a track, 'Defender of the Faith' that he'd written and recorded about Henry that was originally supposed to be on the original record but with space restricted in the days of vinyl it was discarded. 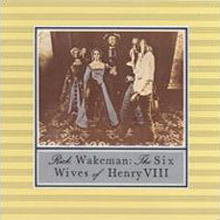 With Wakeman's band, The English Rock Ensemble, the English Chamber Choir and the Orchestra Europa, the original suite of songs, with minor variations, was performed and filmed in May 2009 and released as an album and DVD – The Six Wives of Henry VIII Live At Hampton Court Palace in October. Further major album success after The Six Wives came fast and furious. Yes' follow-up to Fragile, Close To The Edge, was a No. 4 chart album in September 1972 and the following year Yes songs topped the album chart as did Tales From Topographic Oceans in December 1973. And then in May 1974 Wakeman released his second solo album, Journey To The Centre Of The Earth – a No. 1 UK album and a chart entry in virtually every country in the world. Solo success was obviously hard to ignore and with growing disenchantment with the music of Yes he left to take Journey on a lavish, profit-eating world tour. The following year, after a concert at the Crystal Palace Bowl, he paid the price of such a punishing tour schedule with a minor heart attack that hospitalised him but didn't apparently affect his creativity. While laid up he wrote the third album of his 'historical legend' trilogy, The Myths and Legends of King Arthur and the Knights of the Round Table, which in suitably over-the-top fashion was subsequently performed as an ice show for three nights at the Empire Pool, Wembley. In 1975 he also ventured into films, writing the score for and even appearing in Ken Russell's Lisztomania. And from that day to this Rick Wakeman's career has continued to take unexpected twists and turns, the only constant perhaps being his innumerable stints with Yes (even his most devoted fans must have given up counting how many times he's joined and then left them by now). He has survived heart attacks, media apathy, a car crash, four marriages, financial uncertainty and punk-rock. He has continued to make a steady stream of solo albums (can it really be over 100 now with combined sales of over 50 million copies? ), endless film soundtracks, branched out into new-age/ambient music, dabbled in the circus and forged a prominent, mostly non-musical career in television. He also somehow finds time to moonlight as a DJ on radio. Last year he reaped some reward for his short time at the Royal College of Music when they awarded him a Fellowship. But it will be for his immense contribution to the often-maligned but perennially popular genre of prog-rock with all its earnestness and classical pretentions that we have most to be thankful to Rick Wakeman for. The sight of him with his long, flowing blonde hair and silver capes navigating a mountain of keyboards piled up around him with a true showman's flourish is one of rock's most enduring images. Not only did this album help pave the way for progressive rock, but it also introduced the unbridled energy and overall effectiveness of the synthesizer as a bona fide instrument. Six Wives gave Wakeman his chance to break away from the other instrumental complexities that made up Yes and allowed him to prove what a driving force the keyboard could truly be, especially in full album form. More than just synthesized wandering, Wakeman astoundingly conjures up a separate musical persona by way of an instrumental ode to each of Henry VIII's wives through his dazzling use of the Mellotron, Moog, and Hammond C-3 organ. For example, Wakeman's fiery runs and fortissimo thwarting of the synthesizer throughout "Anne Boleyn" is a tribute to her feisty temper and valiant courage that she maintained while standing up to her husband. With "Jane Seymour," on the other hand, Wakeman's playing is somewhat subdued and gentle, which coincides with her legendary meekness and frailty, as well as her willingness to cater to Henry VIII. Wakeman's masterful use of his synthesizers is instrumentally stunning, as is his talent of magically shaping the notes to represent behavioral idiosyncrasies of his characters. Yes bassist Chris Squire lends a hand on "Catherine of Aragon," while guitarist Steve Howe and drummer Bill Bruford appear on a few tracks as well, as does former Strawbs member Dave Cousins, playing the electric banjo. The Six Wives of Henry VIII unleashes the unyielding power of the keyboard as a dominant instrument, but also displays Wakeman at the beginning of an extremely resplendent career as a solo musician. Journey to the Centre of the Earth is one of progressive rock's crowning achievements. With the help of the London Symphony Orchestra and the English Chamber Choir, Rick Wakeman turns this classic Jules Verne tale into an exciting and suspenseful instrumental narrative. The story is told by David Hemmings in between the use of Wakeman's keyboards, especially the powerful Hammond organ and the innovative Moog synthesizer, and when coupled with the prestigious sound of the orchestra, creates the album's fairy tale-like climate. Recorded at London's Royal Festival Hall, the tale of a group of explorers who wander into the fantastic living world that exists in the Earth's core is told musically through Wakeman's synthesized theatrics and enriched by the haunting vocals of a chamber choir. Broken into four parts, the album's most riveting segment, entitled "The Battle," involves Wakeman's most furious synthesized attack, churning and swirling the keyboards into a mass instrumental hysteria. With both "The Journey" and "The Forest," it's the effective use of the strings and percussion section of the London Symphony Orchestra that causes the elements of fantasy and myth to emerge from the album's depths. The gorgeous voice of Ashley Holt is effectively prominent, and some interesting guitar work via Mike Egan arises occasionally but meritoriously amidst the keyboard fervor. 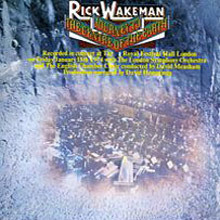 The whole of Journey to the Centre of the Earth still stands as one of the most interesting conglomerations of orchestral and synthesized music, and it is truly one of Wakeman's most flamboyant projects. Rick Wakeman's third solo album is among his best, as he employs his vast array of keyboards to their full extent, musically describing the characters pertaining to the days of King Arthur's reign. With orchestra and choir included, although a little less prevalent than on Journey, he musically addresses the importance and distinguishing characteristics of each figure through the use of multiple synthesizers and accompanying instruments. "Lady of the Lake" is given a mystical, enchanted feel, perpetrated by a more subtle use of piano and synthesizer, while the battle of "Sir Lancelot and the Black Knight" is made up of a barrage of feuding keyboard runs and staccato riffs, musically recounting the intensity of the duel. But it's on "Merlin the Magician" where Wakeman truly shines, as the whimsy and peculiarity of this fabled figure is wonderfully conjured up through the frenzy of the synthesizer. As one of Wakeman's most famous pieces, it is here that his astounding musicianship is laid out for all to hear, a marvelous bisque of keyboard artistry. The album's entirety is a sensational execution of Wakeman's adroitness, and with vocals from Ashley Holt and Gary Pickford Hopkins, it still stands along with Journey to the Center of the Earth and The Six Wives of Henry VIII as one of his most astute pieces. 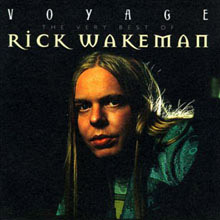 Voyage is one of the best compilations available from keyboard wizard Rick Wakeman. Not only does this two-CD set include his most acclaimed pieces, but it also gathers material that is less renowned yet equally displays his instrumental prowess. Disc one starts off with four tracks from the famed Six Wives of Henry VIII, highlighted by the progressive weight of "Catherine Howard," followed by the synthesized mysticism of "Arthur" and the electronic whimsy of "Merlin the Magician" from The Legend of King Arthur. A well-deserved 40 minutes of the second disc is drawn from Journey to the Center of the Earth, with wonderful passages from "Recollection" and "The Battle" that emphasize Wakeman's keen approach of instrumentally narrating his music. The true value of Voyage lies in the lesser-known tracks that may only be familiar to die-hard fans, but are a must to uncover. Pieces like "Judas Iscariot," "After the Ball," and "Ice Run" are fabulous inclusions to this compilation, since they represent Wakeman's ability to play gorgeous, softly toned pieces as well as massive synthesized blitzes. Additions like "Searching for Gold" and "White Rock" from the album of the same name symbolize Wakeman's gift of producing both a setting and an atmosphere through his use of the keyboard, something that was evident in his days with the Strawbs. Detailed liner notes complete this best-of set, which would make a sound entry point for anyone interested in Rick Wakeman's musical craftsmanship. 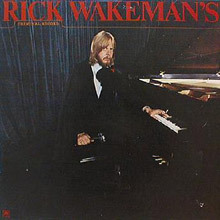 With all of his lengthy suites and unified concept albums, Rick Wakeman's solo work would appear to be very difficult to anthologize. As the first Wakeman compilation available domestically in the U.S., that's what Recollections: The Very Best of Rick Wakeman (1973-1979) sets out to do. The two tracks from Journey to the Centre of the Earth are edited excerpts, but otherwise all the material is present in its original, full-length form. Most of the other pieces (14 in all) are from The Six Wives of Henry VIII, The Myths &amp; Legends of King Arthur and the Knights of the Round Table, White Rock, and Rick Wakeman's Criminal Record -- most of them cohesive concept works that devoted fans will already have. By its very nature, Recollections can't be anything other than a sampler for casual fans, but in that respect it functions very well. Within the same year of re-joining Yes for 1977's Going for the One, Rick Wakeman released yet another solo instrumental concept album. Criminal Record, Wakeman's sixth album in five years, involves six tracks that instill Wakeman's keyboard wizardry to both fictional and historical accounts of punishment, villainy, and crime. With help from both Chris Squire and drummer Alan White, Wakeman managed to land the album within the U.K. Top 30 before the year's end, even though it fell well beyond the Top 100 on the U.S. album charts. Wakeman does a great job at sketching each theme with an appropriate dose of keyboard fire, with "Judas Iscariot" and "Crime of Passion" arising as two of the album's most potent tracks. Wakeman's employment of a Swiss Choir for "Judas" presents it with a wonderful pastoral feel, emphasizing the character's struggle between good and evil while toning different portions of the tracks with light and dark, as well as heavy and soft keyboard segments. 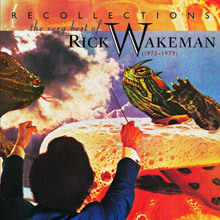 Because there are only six cuts on the album, the concept in which Wakeman tackles never strays too far, and even in some of the less grandiose tracks like "Birdman of Alcatraz" or "Chamber of Horrors," there's a lingering sense of Wakeman's ideas hiding somewhere within his rock-infused keyboard styles. Although it may not be as musically dynamic or as instrumentally moving as his earlier concept pieces like Myths and Legends of King Arthur or Six Wives, he still manages to be both effective and entertaining throughout the length of the album, and, more importantly, his thematic intention is strongly held together without any vocal involvement.